W2P by Industry. Exploring W2P Solutions in Vertical Markets. Web-to-print (W2P) solutions include industry-specific features for smooth integration into vertical print environments. Industries that utilize W2P solutions include financial services, manufacturing, retail and franchise, education, non-profits, in plants, and packaging and labels. “Printers of all types are looking for partners to provide them state-of-the-art platforms and tools that keep pace with ever-changing technology needs,” says Charlotte Tueckmantel, GM/VP, W2P and value added products, EFI Productivity Software. While every market has different requirements, there are even narrower individual needs for sectors within the same market. These markets share the need for integrated technology. “Technology requirements are never going to shrink, in fact, they are only going to increase. The biggest change is that these technologies have to become more integrated,” explains Ellen Faith Hurwitch, VP, director of operations, RedTie. Here, we identify features, challenges, and advantages of W2P solutions in vertical markets. The expansion of the digital label and packaging industry creates the need for businesses to streamline workflow and customer service into efficient W2P solutions. This market requires an easy-to-use shopping experience, instant price quotes, shipping and payment integration options, and a seamless job submission integration. Modern shopping experiences include print buyer convenience and support for phones, tablets, laptops, and desktop devices. Consumers in this industry demand previews of packaging and labels to ensure functionality, accurate colors, brand representation, and sizes. To meet these demands, W2P solutions include templates to deliver a mock up preview of the final object in context. Therese McGady, marketing associate, Aleyant, says that Aleyant eDocBuilder features the Surface Wrap add-on for labels and packaging. “Instead of your customers simply viewing a finished wine bottle label, you can choose to have the label viewed as it would appear on the bottle,” explains McGady. The packaging and labels market requests flexibility, customization, quicker turnarounds, and lower prices. Automated digital workflow solutions meet these demands to automatically connect online print stores to print production. “Removing touches through automation of the order entry, production, shipping, and the billing process is part of that cost reduction goal,” says McGady. Aleyant’s Automated Workflow Integrator connects cloud-based stores with prepress departments for streamlined online operations. W2P offers consumers simplified order processes, increased responsiveness, and design creativity in the packaging and labels industry. With the proper W2P solution, print shops receive profitable short runs, brand consistency, improved time to shelf, and improved responsiveness. Within this market, there is a vital need to accurately represent packaging and labels. To offer consumers a better representation of packaging, some solutions collaborate W2P with three-dimensional (3D) platforms. The Highcon Axis two-dimensional (2D) and 3D platform serves the complex paper and carton board production supply chain. “While W2P solutions handle only straightforward 2D products, like brochures or business cards, Highcon Axis handles the intricacies of 3D folding applications, including the ability to implement variable data cutting, etching, or scoring,” says Ido Tsalka, managing director, workflow solutions, Highcon. According to Tsalka, shorter run packaging, growing emphasis on versioning, unpacking experience for online and trial, and seasonal, geographical, and event-driven campaigns are current trends impacting the packaging industry. However, some consumers are uncomfortable using visualization and 3D software. W2P solutions must address the challenge of enabling consumers with the intricacies of package creation and production. This includes material strength, die-line options, and package and graphic sizes. Bob Raus, North American category manager, workflow and partner programs, HP Indigo, says within the packaging and label segment, food and beverage packaging is vastly different from the manufacturing sector and requires full support for mobile. As technology evolves, it’s important for W2P to fully support mobile access and have an intricate knowledge of the industry. HP utilizes several partner products including Aleyant for commercial print, Taopix for photo, Infigo for folding cartons, Pageflex for marketing automation, and XMPie for custom labels. “These partner products and more are pre-integrated to HP PrintOS Box and Site Flow to streamline production management from order to shipment,” says Raus. Franchise markets and multi-location retail agencies seek brand cohesiveness. “The key is to allow the local retailers to create their own marketing material, using pre-approved templates and content,” says Glenn Bailey, advisor, Mediawide. This method allows the brand to look and feel identical in any location with the capabilities to change specific areas like product and pricing. Bailey believes that HTML5 technology is an integral requirement for franchises and retailers. “This is so the editing of the marketing material can be fast, efficient, live, and on any platform,” adds Bailey. HTML5 is compatible with Apple iPads and Android tablets. It provides real-time visual update changes directly on the screen. Mediawide’s Brandmark Workflow Manager is a project management tool for print and digital promotions. The Brandmark Ad Builder is a set of interactive HTML5-based tools for localized brand promotion, advertisement creation, and digital signage. “The Brandmark Dynamic Resizing module allows print advertisements and in-store signage to fit perfectly in the areas they are destined for,” says Bailey. As retail and franchise markets make the move to digital, it’s important that W2P solutions handle the industry’s requirements. “I am seeing a big shift from on premises-based technologies to Software-as-a-Service (SaaS) hosting or cloud-based offerings. My estimate is that the demand keeps growing at 20 percent every year,” says Slava Apel, CEO, Amazing Print. Franchise and retail markets require multi-department approving, budget management, in store kiosks, retail and corporate storefronts, and online designing, proofing, and estimation. According to Apel, with these features clients are spread between internal efficiencies that improve budgets and workforce collaboration between departments, redundancy and accessibility, cost reporting per department, and automated workflows to remove manual touches. Slava adds that Amazing Print includes a large variety of templates and images available for online design and a list of third party integration toolsets between MIS, data, mailing, and inventory. Specific W2P solutions exist in the financial industry’s mortgage sector. Cendix offers a mortgage marketing portal for mortgage brokers. “We also do a lot of work with banks and independent insurance agents,” says Wilson Zehr, CEO, Cendix. The W2P solutions post corporate approved items and personalize on demand print. Consumers today make more purchases online. Adam Witek, manager, PagePath Technologies, believes W2P technology evolves to remove human error from print ordering. “The easier it is to explain print ordering to your customer, the more apt they are to purchase. Give them a great online ordering experience and they are sure to come back,” he comments. Job modifications are critical for retail W2P storefronts. Shop employees must be able to access and modify changes on behalf of the print buyer. PagePath Technologies offers MyOrderDesk to combat time and save each employee three to five hours a week. “When the shop can take the average time to process simple jobs from 15 to two minutes, then the game changes,” adds Witek. Businesses within the financial industry demand integration features for process management. Tim Cox, managing director, Vpress Ltd., says Vpress provides cloud-based brand management and procurement platforms. Vpress Coreprint includes application program interfaces (APIs) for integration into web interfaces, payment gateways, MIS, production workflow, warehousing, campaign management tools, and third party systems. Restaurants also have access to personalized W2P solutions. Print Science features Unified Menus, a franchise restaurant menu management system that gives franchises the flexibility to create custom versions of menus and promotional items to cater to local markets. “Unified Menus guarantees that the menus created by the franchises comply with the corporate branding requirements,” says John Weissberg, president, Print Science. Print businesses and in plants rely on W2P’s ability to effectively manage a broader end-to-end workflow. EFI’s Productivity Suite MIS/ERP workflow offers this capability and features an integrated digital production workflow where Digital StoreFront is connected to a Fiery-driven workflow. “The features give printing companies customer service advantages for offering easier job submission, including automatic order status visibility and a much faster production process where in many cases, jobs go from the online submission stage almost directly to the output queue on a platesetter or digital press,” says Tueckmantel. Some W2P solutions include tools to create customized sites so printing companies may quickly create online ordering for client brand promotions. Other important features for print shops and in-plant W2P solutions include job quoting capabilities, uploading finished artwork, and complete online transactions. “Commercial printers and in plants alike rely on these tools to offer clients a range of self-serve printed and non-printed products,” adds Tueckmantel. Rochester Software Associates offers W2P solutions for in-plant operations in education, insurance, manufacturing, retail, and non-profit. Vincent Tutino, WebCRD senior, product manager, Rochester Software Associates, believes in-plant markets are heavily concerned with security. “Technology is always moving. All of our customers are sensitive to security concerns,” says Tutino. To overcome this challenge, W2P solutions should evolve security management to match technology advancements. Improvements in technology allow workflow touch point reductions for efficient production. W2P security functions include dedicated URLs to host secure storefronts and secure end user single sign on or password entry capabilities. Tim Rodman, VP of sales, W2Psoftware, says W2Psoftware markets these features and credit card and general account code transactions, automatic delivery protocol and inventory tracking. Steve Enstad, co-founder/CEO, PageDNA, believes in-plant concerns include responding to pressure to outsource or using facility management services versus owned manufacturing. PageDNA supports mail merge, online dynamic job pricing, and e-commerce functions. Regulations in financial services and healthcare often change and include exceptions. “For example, customers are frequently given the choice of going paperless. However, by regulation some highly personalized documents must still be delivered via some media,” says Judy Berlin, marketing VP, XMPie, A Xerox Company. To create and deliver relevant content, W2P platforms must fully integrate all channels through a common core. The financial and healthcare industries benefit from open systems that integrate with a variety of third party systems. XMPie features APIs that integrate third party systems like PunchOut2Go, a gateway to eProcurement systems. The API allows consumers to offer W2P services to enterprises that mandate working with specific systems like Ariba, Oracle, and SAP. APIs allow for back-end management system integrations as well. These two-way integrations enable print providers to monitor stock, inventory, and pricing management. Bi-directional communication between two systems creates a full alignment between W2P online quoting and ordering to the back office. “It cannot be stated emphatically enough—a key feature for any W2P system is that it integrate to other systems through a comprehensive set of APIs,” adds Berlin. Multiple language support and affordable rates are exceptional W2P features that the financial and heathcare sectors demand. 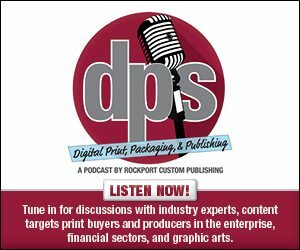 Rafael Royz, CEO, B2Cprint, comments that B2Cprint offers this as well as online design and SaaS-based storefronts to support selling any type of print product. Marketing agencies implement flexible W2P solutions to work with customers from previously mentioned markets and industries. W2P solutions that cater to marketing agencies and printers should be flexible enough to meet end user needs. These solutions should also provide an answer to customer challenges. Hurwitch suggests identifying the end user’s issue and using the W2P solution to demonstrate how the solution solves it. “Used in the right way, W2P solutions solve a number of customer problems, be that approval procedures, credit control or band control, and many others. Solving a customer’s problems creates a dependency, a significant reason to stay as customers,” adds Hurwitch. She suggests consumers explore W2P suppliers that offer a great support system that extends beyond technical questions. “One that offers you services for building procedures and offering custom development,” Hurwitch adds. RedTie offers a pay-as-you-go solution that includes online template driven products for users with different experience levels. Jordan Melick, business development manager, Accura MIS, stresses the importance of fast, easy to use, end-to-end, and scalable solutions. “With Accura you only purchase the components you need for your business model,” says Melick. Therefore, companies efficiently utilize W2P systems based on the individual’s needs. Print buyers with limited knowledge or expectations of digital technology may run into W2P challenges. Tueckmantel says implementing W2P software requires internal change to fully leverage the software’s capabilities. It’s important for print buyers to invest in training and purchase W2P solutions that cater to designated markets to ensure the company’s success.